If you play poker, then me telling you it is naturally tedious shouldn't come as a surprise. It is a lot of repetition interspersed with a few moments of exciting action. The repetition makes poker boring to watch. There, I said it. Poker is boring. Actually, let me rephrase that. Good poker — the high-stakes kind with the best of the best playing each other — is boring to watch. Okay, so that's not entirely true either. It's really the players and their personality that make poker exciting or boring to watch. And it seems the higher the stakes, the more the players are focused on the game. Go figure. "There, I said it. Poker is boring." I am fully aware that it's not the players' job to entertain me and that playing poker is their job. But I do believe it is the job of the broadcasters to entertain me. As a result, I question why they keep introducing more of the same kind of tournaments to the live stream schedule. The idea of watching nosebleed stakes with players at the top of their game is enticing in theory. Then you get nine players at a table that barely mutter a single word. To me, it feels as if most of the new, original tournament content being produced is designed for the players, the high-stakes kind, and not necessarily for the broadcast and the viewing audience. 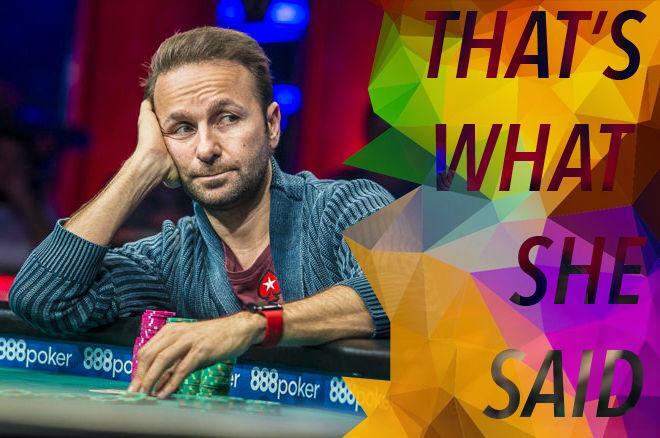 Thank goodness for players like Daniel Negreanu, Phil Hellmuth, and Doug Polk. There's a reason why they are fan favorites. They talk. They engage. They love the game and that translates through the airwaves. Only having one of them at a table does not help, though. We need more. Many more. There are plenty of Negreanus and Hellmuths out there willing to take one for the team. They may not have the big name or the best skills, but they have the ability to draw more new players to the game. "The stakes alone are not enough to make poker interesting." Everyone who loves the game and wants it to grow should go out and find those players and invite them to play. It's hard to stop watching a tournament that has a mixture of big names and big personalities with clashing styles and an element of the unpredictable. Think Mickey Craft and the sensation he created last summer. Was he the best player? No. But his over-the-top antics and unpredictable style started a hashtag trend. There's a reason why #makepokerfunagain became a thing. And it's because we need to make poker fun again! The recipe to make poker fun to watch again is pretty simple. Create more original events with the entertainment value of the broadcast and viewing audience in mind. What does that mean? It means inviting the right kind of players — you know, the talking and action-oriented kind. The kind of player that doesn't play GTO or if they do, they can play and talk at the same time. It also means creating a structure that forces action. There are plenty of people chomping at the bit for their fifteen minutes of fame. I say, let's give it to them. "So, if you want me to turn it on, you better start sweet-talking." It's okay to acknowledge that what players are looking for in a live stream, is different than what fans are looking for. And it's also okay to create both types of content. Besides making good business sense, it makes sense for the health of the game. The bottom line is the stakes alone are not enough to make poker interesting. There needs to be a cast of characters to help tell the story that poker IS interesting. Mastering that is when a new breed of player will start flocking to the game. It's when #makepokerfunagain becomes #pokerisfunagain. So, if you want me to turn it on, you better start sweet-talking. And, that's what she said. PokerNews is bringing you exclusive live updates from the biggest tournaments on the globe. 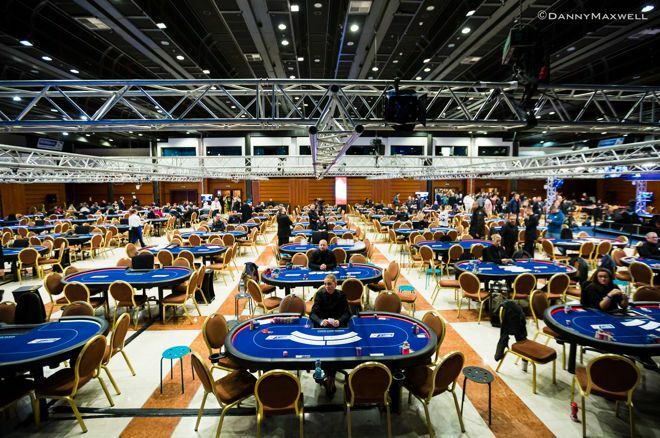 Check the PokerNews live reporting section for updates from the Aussie Millions, 888poker Blizzard XL, and WSOP International Circuit Marrakech Main Event. Editor's Note Frank Op de Woerd - 01/26 - This article was edited after publication and originally had a different lead. PokerNews Op-Ed: Let's Have Some Fun at the WSOP Already!